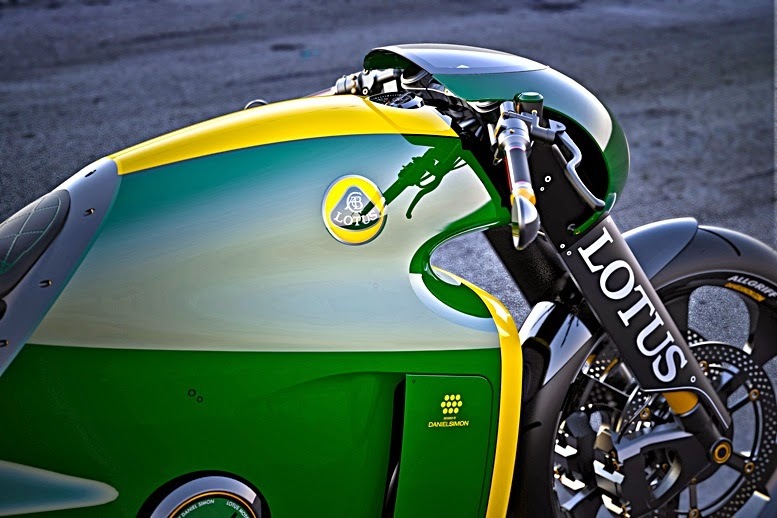 Scale Model News: LOTUS MOTORCYCLE: INSANELY GREAT C-01 ROAD-RIPPER BIKE NOW READY TO ROAR. IS IT THE GENESIS FOR A KIT-BASH? 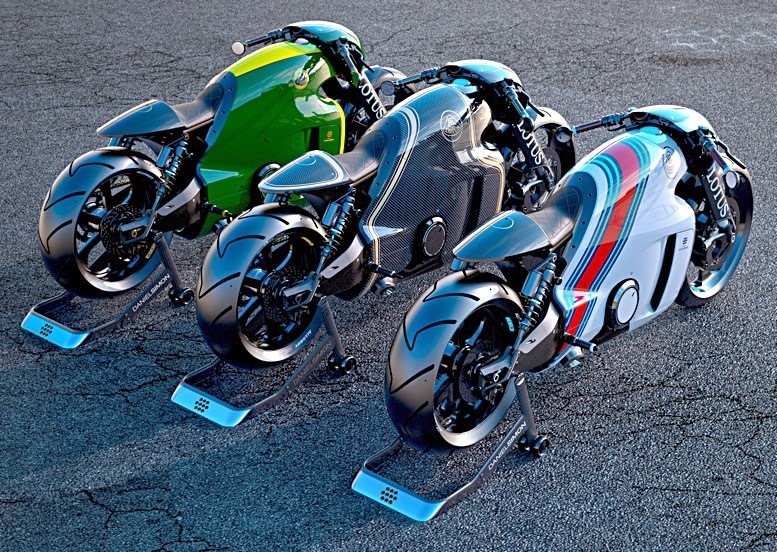 We'll just let the Lotus development team talk about their new baby, but for kit-bashers, there are plenty of thoughts in these Daniel Simon concept artworks, so if you fancy starting with - say - one of Tamiya's excellent motorbikes, then you have a really good start. 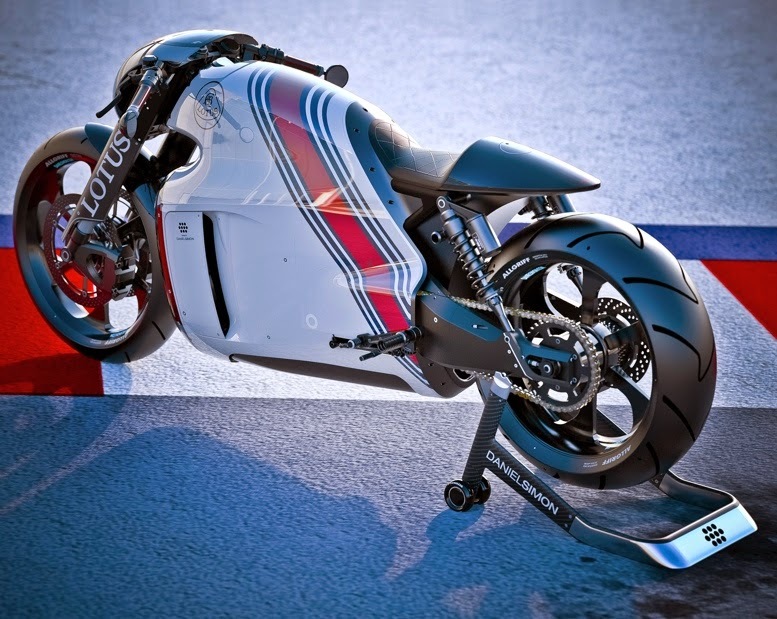 For now though, let's see what Kodewa, the German racing outfit behind the new bike, has to say. 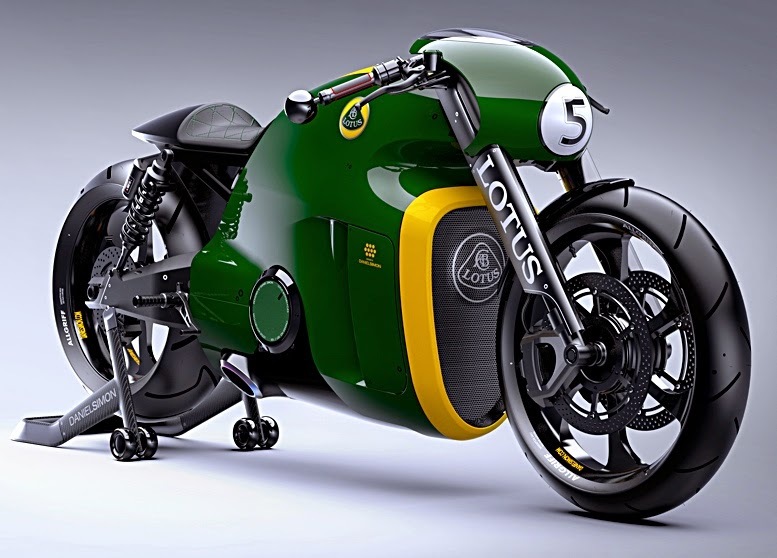 “Following two years of careful planning and intense development, Kodewa is delighted to announce that the prototype of the world’s first motorcycle to bear the legendary Lotus marque is now road registered and ready for action. 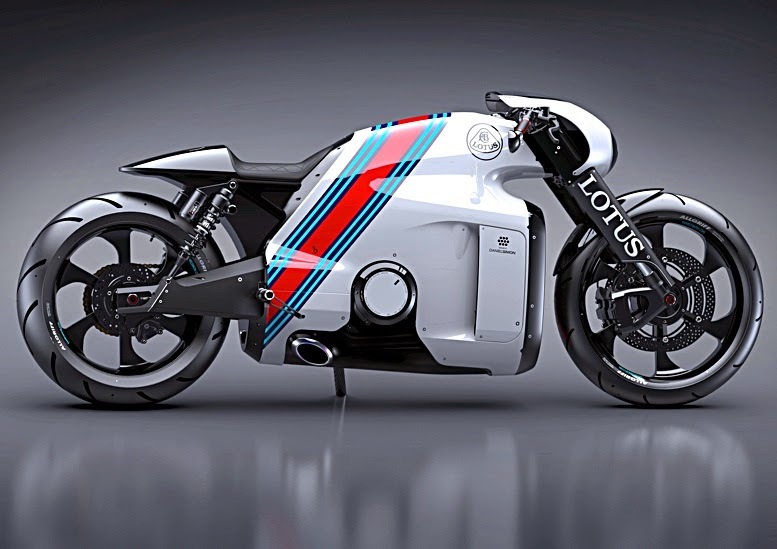 “Kodewa has been granted a license to produce the motorcycle by Group Lotus plc, the world renowned sportscar manufacturer and engineering consultancy. Interesting that Lotus has granted a license for the use of its name, rather than being involved in a new - for car specialist Lotus - form of technical development. 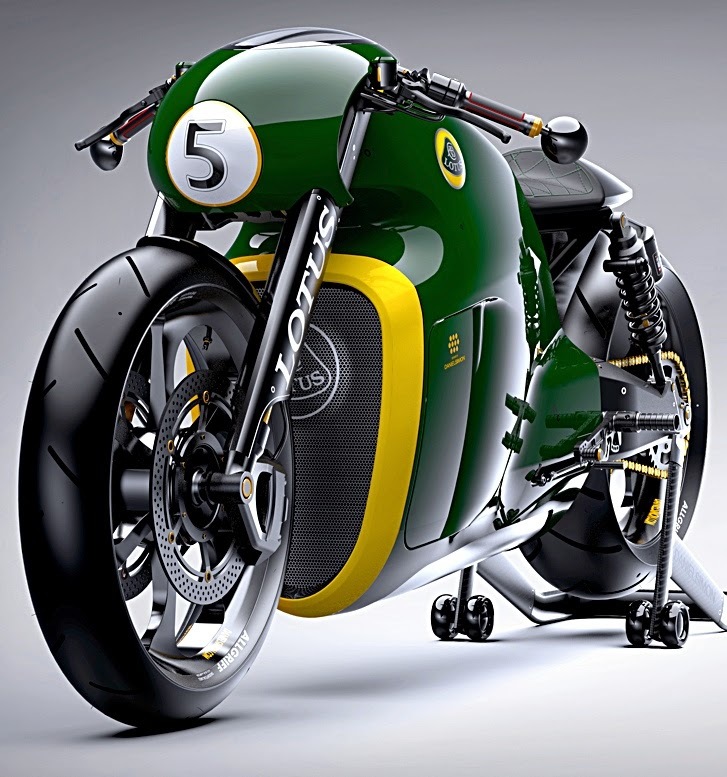 Kodewa goes on, “The C-01 motorcycle is not designed, engineered or produced by Group Lotus plc but is the result of a collaboration between motorsport veterans, under the leadership of Kodewa, led by Dr Colin Kolles. 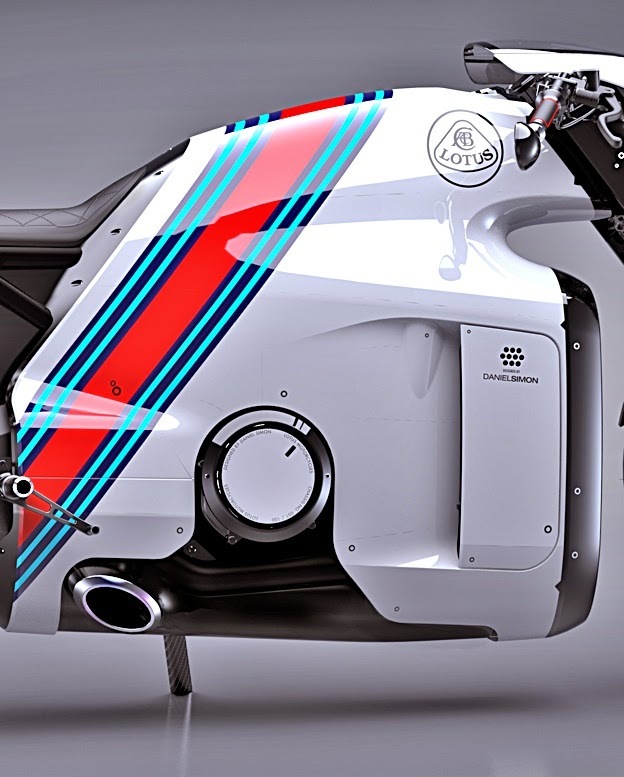 “The development on the C-01 was carried out with the support of Holzer Group (co-owners of Kalex) and design guru Daniel Simon. 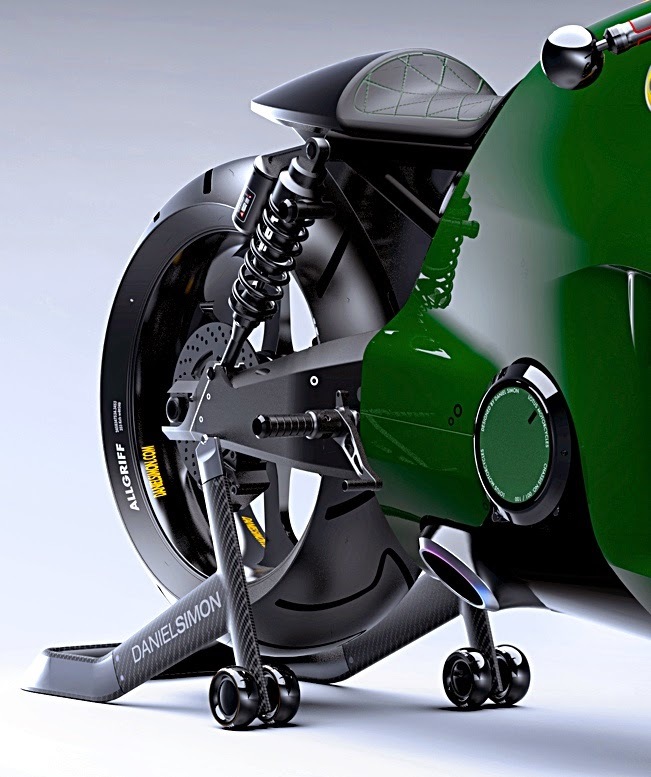 Drawing on their wealth of motorsport experience, the team of engineers has designed a unique high performance superbike. 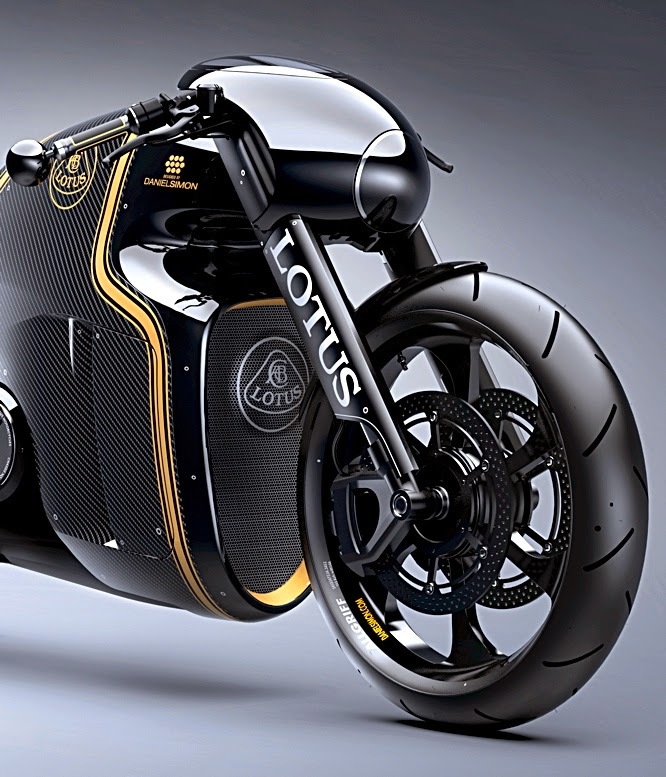 “The C-01 will be available in a range of liveries, some of which pay homage to Lotus’ sporting pedigree. A customisation service is also available, limited only by the imagination of the client. 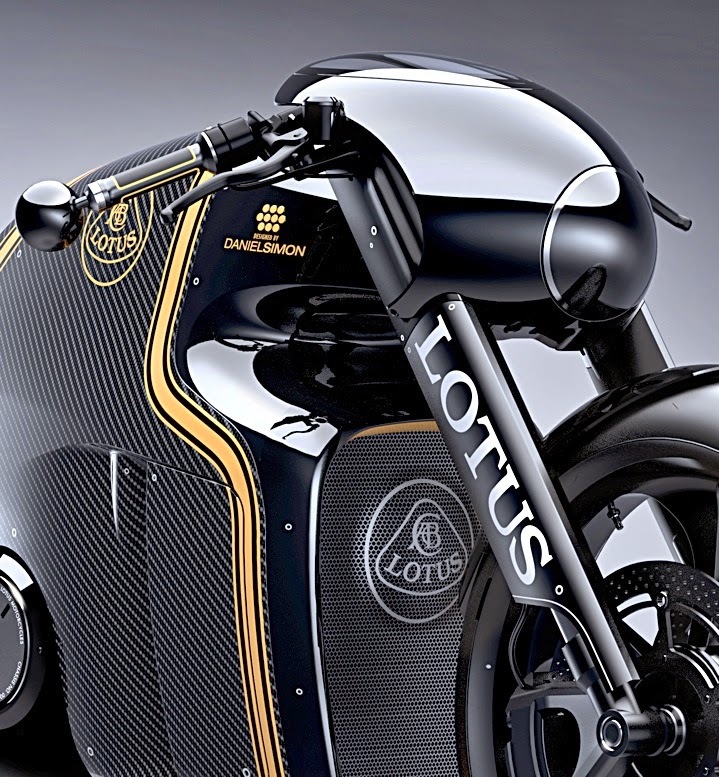 With an exclusive production run of just 100 units, superbike collectors and fans of the Lotus brand will need to move fast to secure one. Daniel Simon is a leading cgi artist, who has worked across the board with companies large and small, and is one of both SMN's and the Starcruzer Crew’s creative heroes. For a fix on his work, click on the link below, then admire and enjoy. 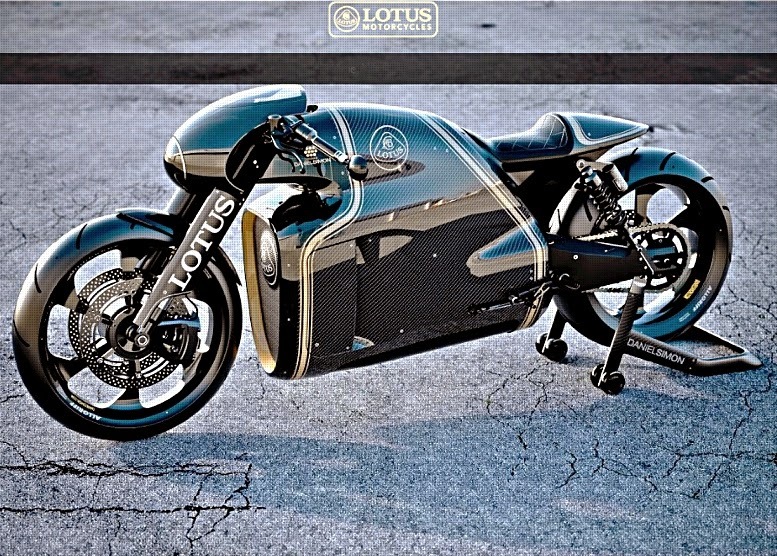 They are planning to make just 100 Lotus C01s, so if you have the moolah, it’s time to sign up and join the queue. For us model makers, there's good reading reference on Lotus machines (below) and a starter for a kit-bash could kick off with one of Tamiya's excellent motorcycle kits.